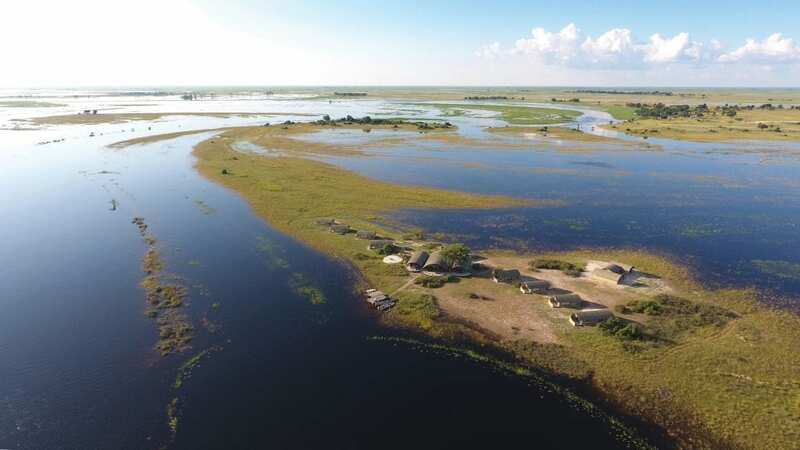 Our newest guest blogger, Nina – a student currently expanding her knowledge at a Joburg institution of higher learning – decided to start writing about Namibia (her home) and the rest of southern Africa, after she realized how lucky and privileged she was to live here. 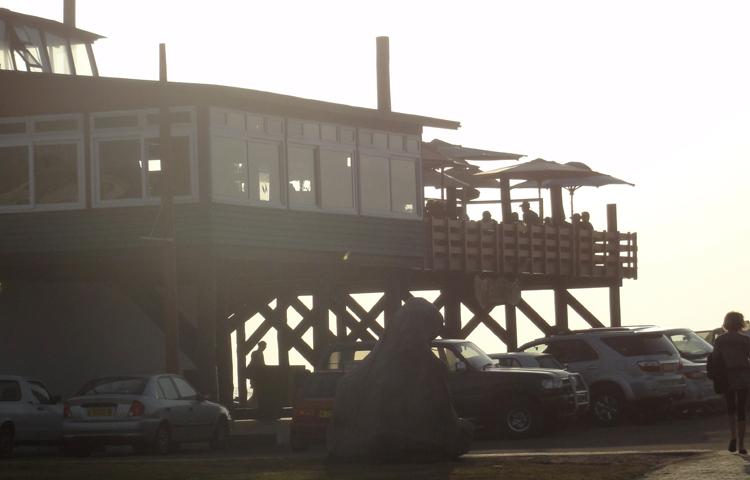 Here is her latest blog about Swakopmund – one of her favourite hang-outs in Namibia. Where’s my favorite place on earth? Easy! By the sea. The December holiday has gone, and with it my days next to a blue ocean enjoying its cool breeze. The Tug restaurant, Nina van Schalkwyk. For our December holidays, my family transplants itself to the coast where we have a humble abode near the Cape Cross seal colony. Living there is kinda’ like living on a farm, because there’s just nothing for miles, except the occasional seal peaking at you through the waves. Tiger Reef, Nina van Schalkwyk. 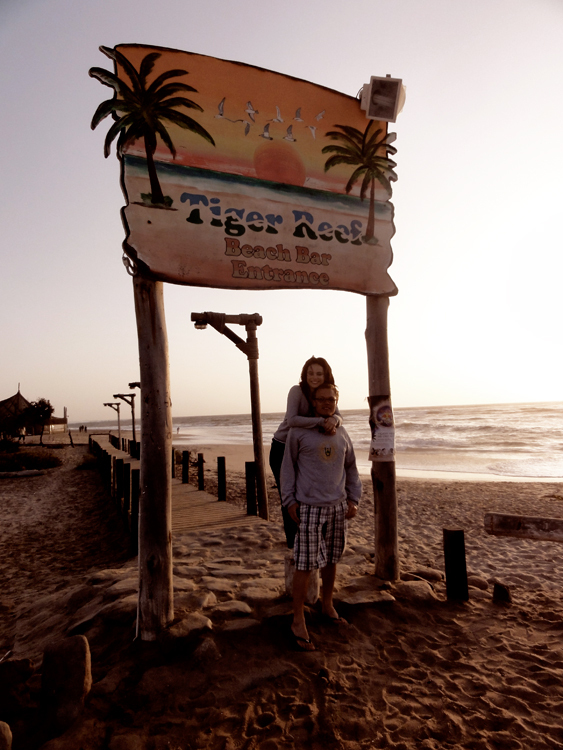 As my boyfriend visited me at Cape Cross over New Years’ (which was epic, just by the way), we decided to tag along with my other cousins and their “other halves” to the very quaint and historically German coastal town of Swakopmund. 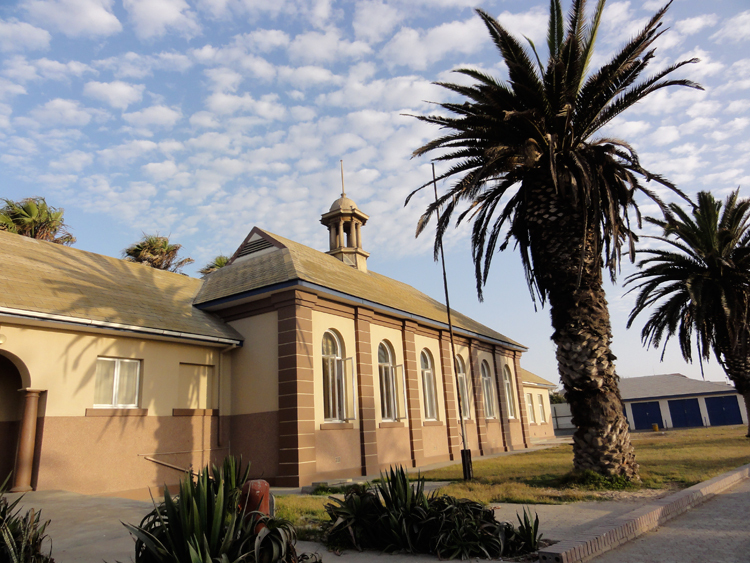 Swakop (for short) is located North of Namibia’s main harbour which is located in Walvis bay, a little way from Swakop. 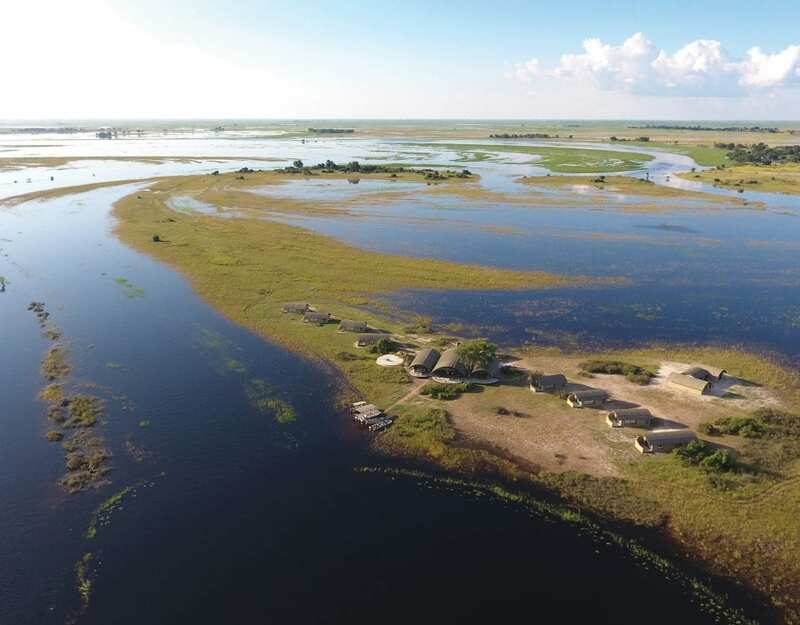 Swakop has retained much of its German culture, in terms of the architecture to be found, the food, and of course, the beer. 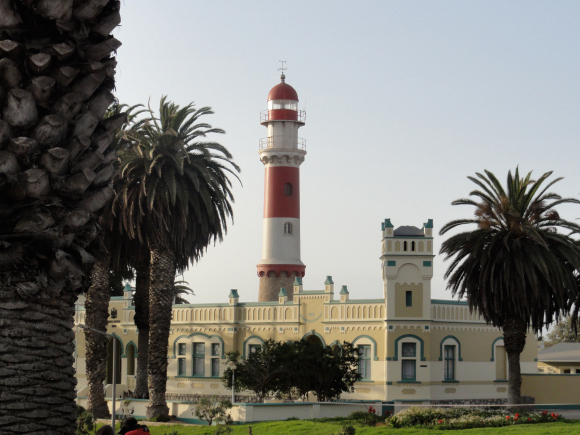 People assume that Namibians can all speak German merely because Namibia was a German colony and there’s still a little of that culture present here, but truth be told, the only place that I would say really retains that German feeling (and I say this with experience now), is Swakopmund. 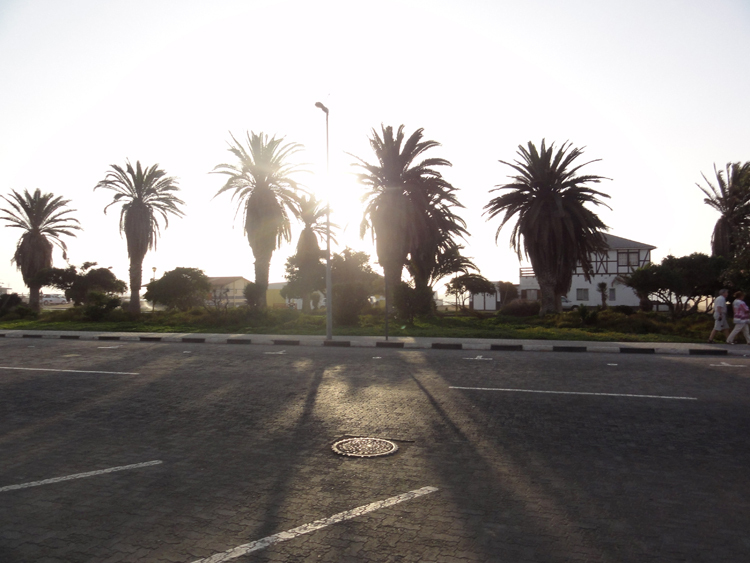 Swakopmund at sunset, Nina van Schalkwyk. We landed at the teeny tiny airport at Walvis, being so privileged in that my brother dropped us there with our plane, to pick up his friend from S.A.
My cousin picked us up and we drove off into the sunset, passing the beautiful caramel-coloured dunes that Namibia’s coast is known for. There was a road-block (something else Namibia should be known for), but I was grateful for it, because the road between Swakopmund and Walvis Bay is extremely dangerous and many have perished as a result of speeding, bad visibility, and yes, unfortunately, drunk driving. NWR office, Nina van Schalkwyk. We, however, made it safely into Swakopmund, me pointing out to Vic (aforementioned bf) all the landmark buildings, the famous architectural style and the relative peace and quiet (which would have been unseen a few days before when the place is absolutely flooded!). First on our itinerary was the famous Brauhaus. 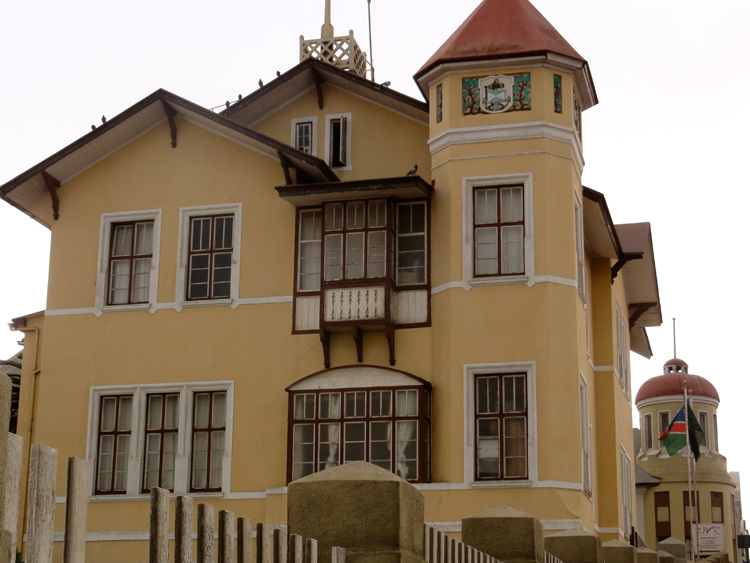 Swakopmund rooftops, Nina van Schalkwyk. The Brauhaus is located in the middle of town, reached only through walking a little distance past this cute little bookshop on the corner, the only cinema in town opposite and a few antique shops down the way. We met up with our friends and my family, and as soon as we sat down “Das Boot” landed in front of us. Enjoying a boot at Brauhaus, Swakopmund, Nina van Schalkwyk. Now, for those of you who have never seen the movie “Octoberfest”, a “boot” is a boot-shaped glass that is filled with about a litter (or two? i’m not sure, but its huge) of beer. And you then drink it. But not in the normal way one drinks beer. Oh no. There is tradition involved. The boot starts at one end of the table, and that first person is only allowed to bring the glass to their lips once, before passing it on. There it moves along the circle, and when it becomes close to empty the true fun is revealed in this activity. 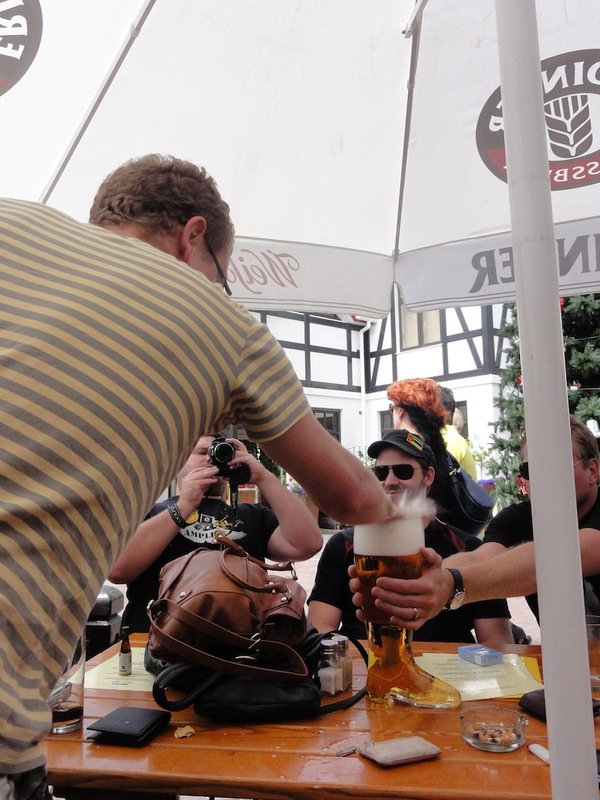 The second last person to have had a sip must pay the whole beer, which means that every person there has to strategize so as not to leave too much beer but also not to underestimate and leave a few drops mistakenly. Municipality buidings, Nina van Schalkwyk. It was quite an achievement for me, because I totally threw my cousins’ whole plan off, by finishing the beer before it could reach Vic next to me. My poor friend Anna, she had had to already pay for two others. Ai shame! close of the day with a couple of sundowners at Tiger Reef Beach bar, enjoying the sand between your toes and the ocean right in front of you. What a way to end a day. catch an early brekkie at the famous Café Anton that is as German as they come, still retaining the characteristic decor from days past. Be sure to order a brötchen with cheese and tomato, and go home with a box of snacks including the delicious baked goods – they just aren’t the same anywhere else, not even Germany! Have your last cup of coffee in Swakop at the fresh and new Slow Town, where they brew you a cuppa made of beans on display and for sale, and which the café itself roasts and processes. Great quality, one small pack is only N$50.00. Absolute perfection. 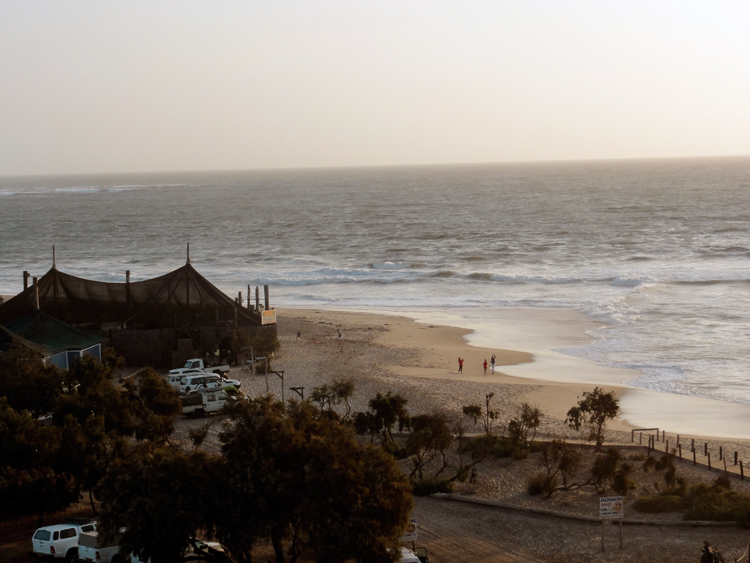 We had a lovely time in Swakop, we saw the sights, we appreciated the buildings, we drank the drinks, we ate the food. Yes, all in all, it was worth a trip to the little sea-side gem. If only I could live there permanently. Ja, danke!